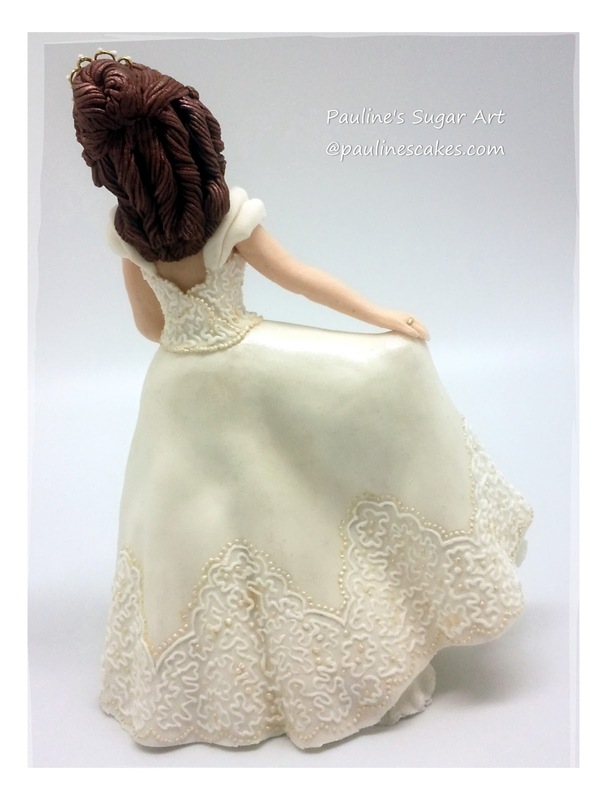 PAULINE BAKES THE CAKE! 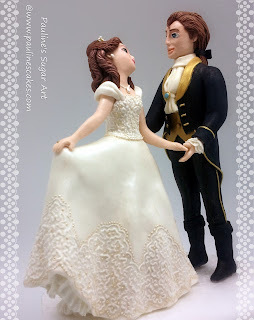 : Beauty & The Prince Revisited! 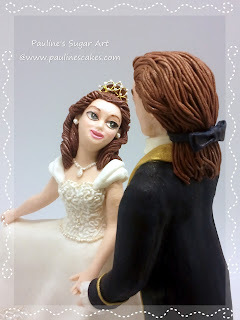 Just found these long forgotten close up pics of my "Beauty and the Prince" sugar art figurines in my hand phone. 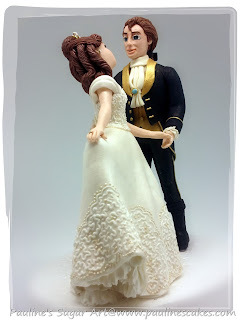 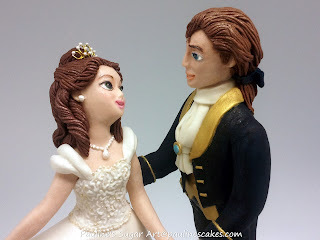 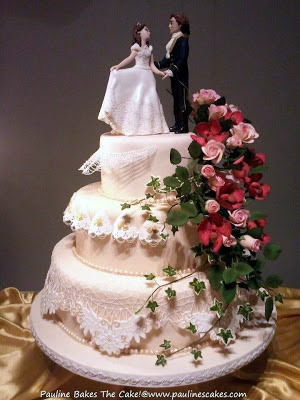 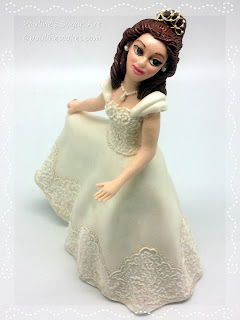 The figurines, based on the characters of Princess Belle and the former Beast in Disney's "Beauty & The Beast", were the toppers for my competition Beauty & The Prince Wedding Cake in 2011.